BUCHAREST (Romania), February 5 (SeeNews) - Romania's draft 2019 budget targets a reduction in the budget deficit, but is based on optimistic assumptions and fails to clarify uncertainty over a new bank tax, Fitch Ratings said. The draft published by the finance ministry at the end of last month targets a reduction in the general government budget deficit (on an ESA basis) to 2.6% of GDP from 3.0% in 2018, Fitch said in a press release late on Monday. "This would represent a moderate fiscal tightening and be a step towards strengthening the public finances and reducing economic imbalances," the ratings agency said. The budget bill is expected to be voted on by parliament in the next few days. In November, Fitch affirmed Romania's long-term foreign and local currency issuer default ratings (IDR) at 'BBB-', with stable outlooks, but warned that a loosening in fiscal policy since 2016 has weakened the public finances. 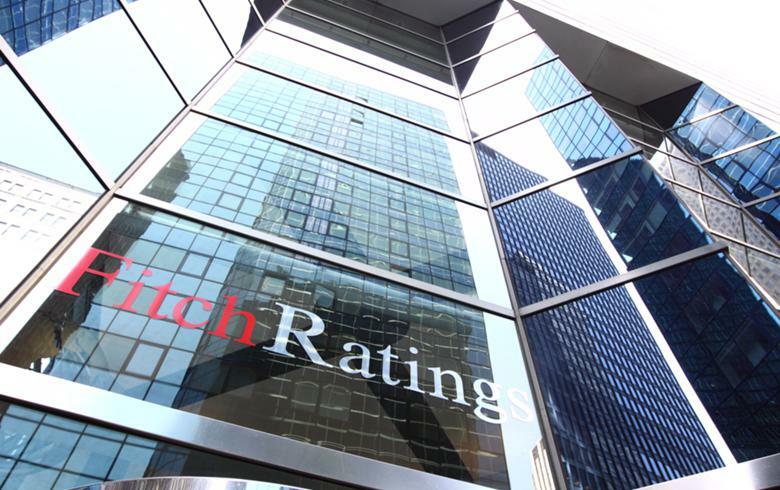 "Fitch projected a 2019 deficit of 3.5% of GDP when we affirmed Romania's 'BBB-'/Stable sovereign rating in November. Our next forecast update will reassess this in the light of the final 2019 budget that is approved by parliament and further information about the bank tax, which was introduced by emergency ordinance in December. However, Fitch is sceptical that the 2.6% target will be achieved, given the government's optimistic growth and revenue assumptions. The draft budget projects expenditure to grow by 13.4%, but specific new revenue raising measures in the budget are only worth around a net RON3.3 billion (0.3% of GDP). The budget is based on a GDP growth forecast of 5.5%, much higher than Fitch's projection of 3.2%. It projects nominal revenue growth of 15.7%, far in excess of nominal GDP growth, and assumes revenue gains from fighting tax evasion of 0.7% of GDP. Moreover, presidential elections due in late 2019 will make it challenging to cut expenditure if revenues undershoot the government's optimistic assumptions. The draft budget targets a further deficit reduction to 2.5% of GDP in 2020, 2.2% in 2021 and 1.8% in 2022. The targets for 2019-2021 are higher than the government's commitments to the European Commission in its letter of 18 October 2018. The Commission has yet to respond publically to the draft budget. The 2018 GG budget deficit (ESA basis) was 3.0% of GDP, in line with the government's target and Fitch's forecast. However, it was met with the help of one-off measures, which will be difficult to sustain in 2019. Curiously, the draft 2019 budget appears to omit revenues from the new bank tax. The only revenue lines related to December's emergency ordinance are RON0.8 billion from turnover taxes on energy and telecom companies, RON0.5 billion from higher taxes on gambling, and RON0.6 billion from higher tobacco excise taxes (totally 0.2% of GDP); as well as RON1.5 billion.in additional SOE dividends from reserves. It is therefore unclear whether the bank tax (which is already in force) will be amended, added to a later draft of the budget or remain outside the formal budget. To the extent that revenues from the bank tax are excluded from the budget, they provide a modest fiscal buffer, which we estimate could amount to around RON3 billion-RON4 billion this year assuming a quarterly tax of 0.3% on financial assets. In Fitch's view, an increase in taxes that helped reduce the budget deficit would strengthen Romania's public finances and reduce economic overheating risks, which have been key downside risks to the sovereign rating. However, aspects of the new taxes risk damaging policy credibility and offsetting the potential benefit to the public finances. These include the lack of consultation over the bank tax (including with the National Bank of Romania), the lack of an impact assessment, as well as an absence of clarity over how it operates, its populist labelling as a "tax on greed" and aspects of its design. These could adversely impact the business environment, investment and economic growth, potentially leading to a partially offsetting fall in tax revenues. The increasing incidence of the bank tax as the interbank ROBOR rate exceeds a benchmark rate of 2% could complicate the transmission of monetary policy and reduce banks' internal capital generation as interest rates rise. If banks pass on the cost of the tax to retail borrowers this could dampen demand for credit."